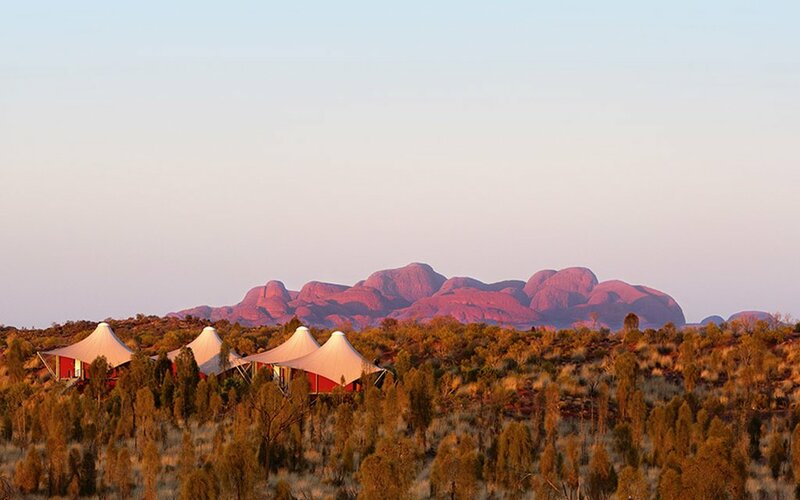 Mirage, or Bananas Wilderness Camp in the Middle of the Outback? There are many ways to visit Uluru, the sandstone monolith that holds profound spiritual significance for Australia’s indigenous population and rightly claims a spot as one of the world’s most spectacular natural sights. 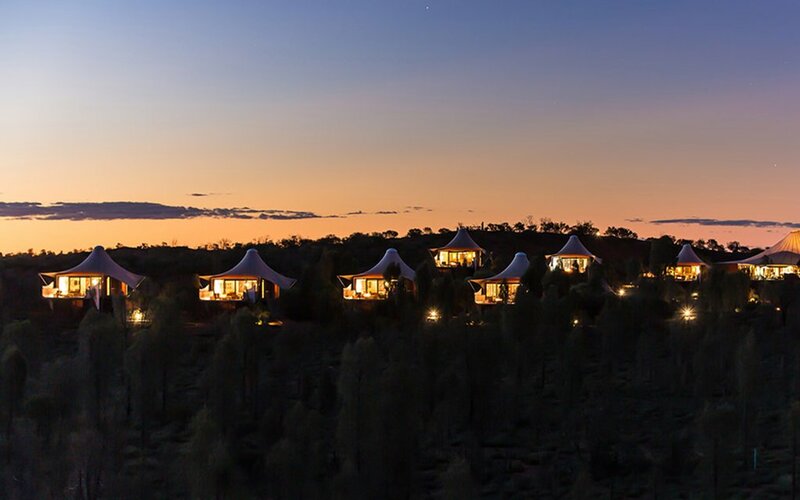 These are “luxury tents,” as the company puts it, at its most refined: The resort comprises 16 retreats, each with ensuite bathrooms, pieces by local artisans, king-size beds, fireplaces, and wifi, all nestled into the red dunes of the wilderness surrounding Uluru, also known as Ayers Rock. 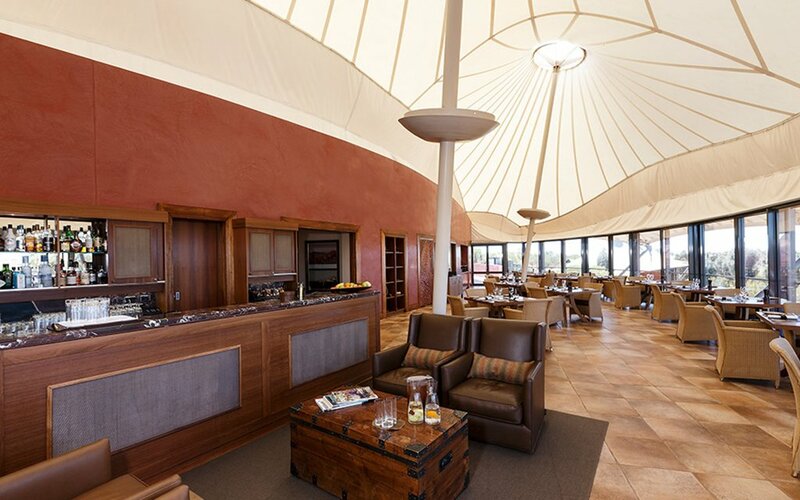 Communal life in the resort is centered around the Dune House, which includes a restaurant and lounge areas. 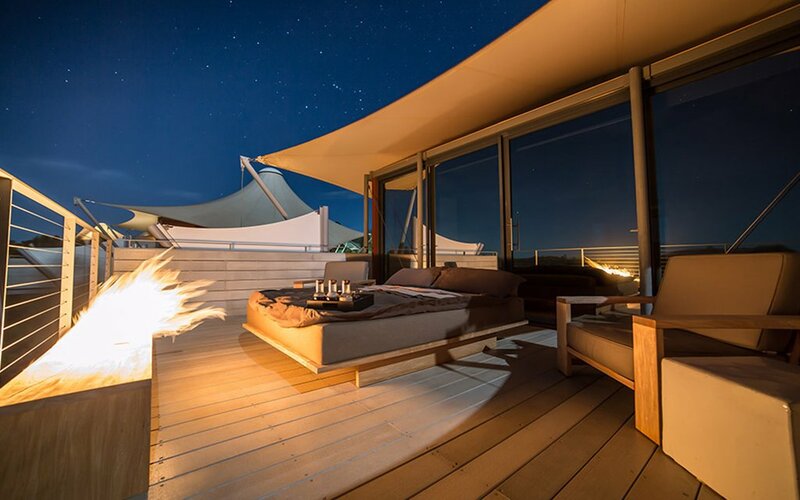 The real gem, though, is the Dune Pavilion, a separate, private house configured with either one or two bedrooms, depending on your needs, plus a massive, wrap-around terrace and outdoor day beds — plus a plunge pool and fireplace, of varied interest depending on the season. 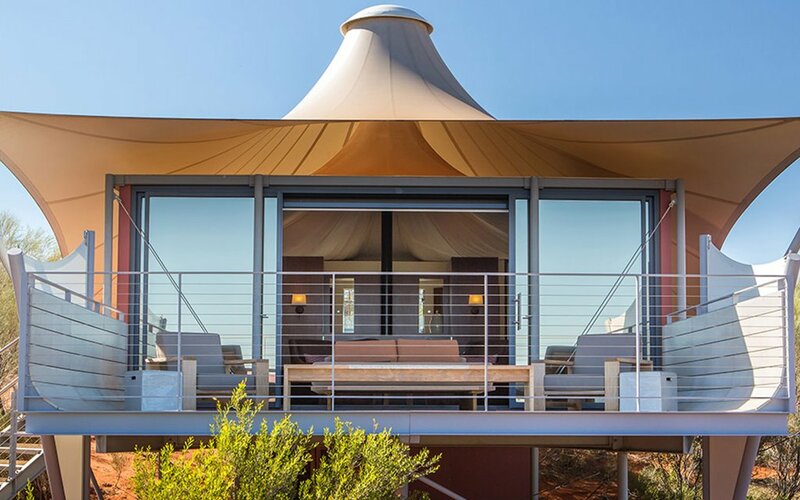 If you’re gonna go all the way to the Outback, we say you gotta go big — and the Dune Pavilion is as big (read: luxurious) as it gets in this part of the world. 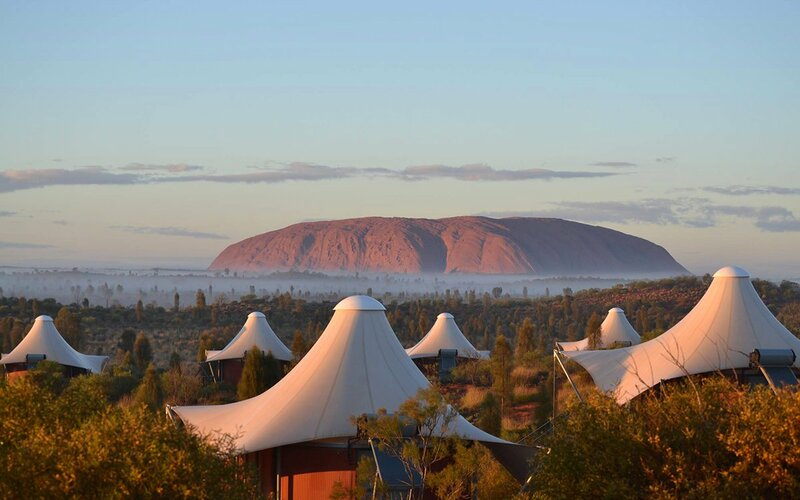 Most important: The pavilion is set away from the other 16 camps, meaning that it’s just you, the surrounding wilderness and Uluru.